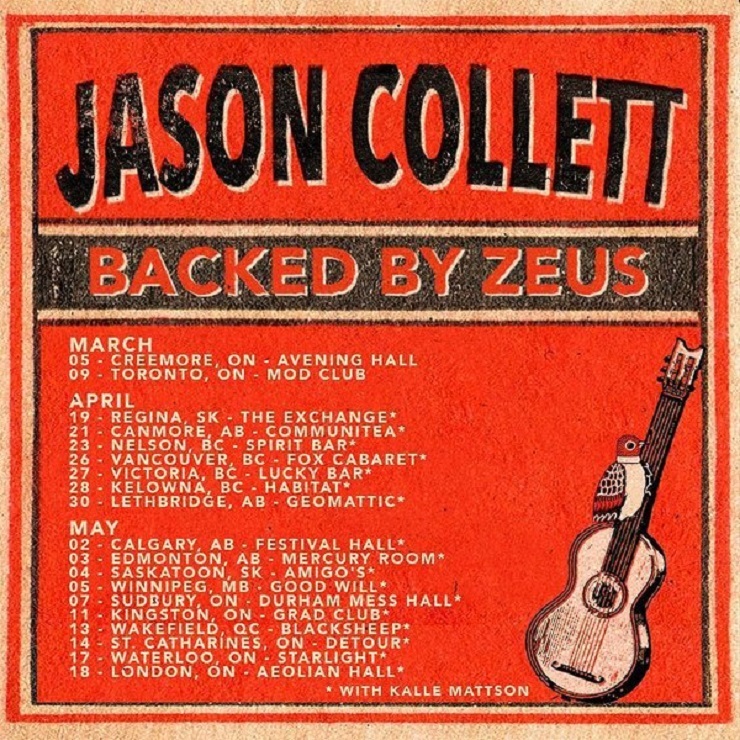 Toronto's Jason Collett has announced a Canadian tour in support of his about-to-be released solo LP, Song and Dance Man. The trip kicks off in March, and will have him hitting stages backed by his longtime pals Zeus. While a couple of March dates had already been on the schedule, news of a full tour arrived today (February 2). The April/May leg of dates will have Collett cranking off selections from his songbook with members of Zeus. Additionally, the opening slot is being handled by fellow roots-flecked Ontarian Kalle Mattson. The joint dates begin in Saskatchewan and find Collett and Mattson heading out towards the West Coast before bouncing back through the Prairies and into Ontario and Quebec. You can catch the full breakdown of Collett's concert schedule in support of Song and Dance Man down below. As previously reported, Song and Dance Man drops this Friday (February 5) via Arts & Crafts.